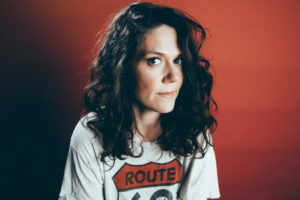 Lilly Hiatt: We interview the songwriter and chat about ‘Trinity Lane’, dealing with her father’s fame and more. If there was ever an artist who had something to talk about it’s Lilly Hiatt. Growing up as the daughter of a huge artist, losing her mother at a young age, struggling with addiction and, ultimately, overcoming those demons means that Lilly Hiatt has lived a story that deserves to be told. This year saw the UK release of her latest record, Trinity Lane, an album that saw her work with a new producer, Michael Trent, and enlist a new band. In April, she toured the UK on her first ever headline tour over here. We sat down with her in Leeds for a chat to discuss everything from songwriting to breaking new ground. You’re back in the UK for your first headline tour. How does it feel to be back? It feels good. We’re happy to be here. I just kind of got acclimated! We got in Monday morning, so I’m feeling good today! The best yet! You’re two shows into the tour, how has it been so far? It’s gone great. Oh my gosh, I didn’t know what to expect and we had full rooms. It’s really neat, I don’t know who’s going to show up on a night! I guess that’s the risk of doing a first headline tour in a new country? You’re hot off the heels of the UK release of Trinity Lane over here. How have you found the reaction to that record? Everyone has been so sweet. It’s just been great. It’s kind of really cool to get to come over here because we toured so much in the States, and we’ll keep touring of course, but we can kind of reinvent it over here because we’re doing this acoustic. It’s kind of a folkier look at the songs. We’re having a lot of fun. You had a great reception to the record in the States too from the likes of Rolling Stone. That must be nice in a tough America/folk/country market at the moment? Oh yeah, it means a lot. I’m really grateful to be busy! The record itself is clearly a very personal piece of art. It must be even nicer to get a positive response when you’re putting yourself out there like that? Totally! It’s always hard when you put yourself out there and people are like “boo”! You hope that people are like “yeah!”. I read a bit about your songwriting process and how you’d spent a lot of time alone and had some big life changes when you were writing the record. How did you find that affected the creative process for you? It was so fun writing all these songs because it reminded me, every time that I had a rough night or felt really lonely or sad, I played and wrote a song and I’d always feel better. It always cheered me up so I just did that as much as I could and it cheered me up when I was feeling blue! It got me through a little rough patch, as it always does! Good! Yeah, I have and I feel like that’s one of your duties as a writer is to share that with someone. Everyone is different, I mean, Bob Dylan doesn’t write about himself but he’s in there and the his perspective helps other people. It’s kind of like part of the job is putting things in a way that people need to hear maybe. I’m not saying people need my music or anything but I hope that they can relate. It must be tough taking personal battles and situations from life then putting pen to paper to write about them? It’s pretty therapeutic but there are definitely times where I’m putting too much pressure on it and I start looking at writing as more “oh, I don’t wanna do that because I don’t have anything to say” but I’ve kind of learned how to not make it that way. You don’t have to put that kind of pressure on something, just let it flow and see what happens but try to do it frequently. That’s kind of what I’ve found when I’m writing. Moving onto the recording of the album, I saw that you worked with Michael Trent from Shovels & Rope. How was it working with him on the album? It was really cool! He’s amazing and we had a great time. He played on a lot of the songs and definitely brought a bright and beautiful thing out. He made us a better band and kind of glued it all together. I’m quite interested to know what it’s like for you living in Nashville, which is a great creative city, but where Music Row and that kind of mainstream country is quite powerful? It’s so funny, the Nashville that I know, because I grew up with a dad (John Hiatt) who’s a musician, and he was never a part of that world so the musical world that I grew up around was really different than that in Nashville so I always knew that was there. It’s funny how fixated people get on the crazy country part of things, which isn’t all bad, it’s just its own entity. I’ve never really gotten hung up on that, I don’t think about it much, I kind of find it amusing in a way. Some of it is kind of neat, Music Row is an interesting place and you don’t have that everywhere, to have a street full of billboards of hits that have been written for country stars is kind of fun if you let it be. I just feel a little bit detached from that. Do you find that he gives you a lot of guidance and inspiration? He does! He inspires me so much. The cool thing about him is that he’s one of those really special people that puts music first, he always has and that’s why his career is the way it is. He honours that first and foremost. He’s really encouraged that for me and that’s kind of a longer road to take, you know? Just kind of staying true to whatever your muse is can take longer to get there. I’m so interested to hear Lukas’ opinion on that too because I think that, for the children of established musicians, it’s a double edged sword. On one hand I look up to my dad so much and I’m very proud to be his progeny and we have a really cool relationship but also it can be hard when people ask you about that all the time, not the way you’re asking! You get a lot of stupid questions like “what’s your dad up to? !” It’s all how it’s phrased, I try to look on the bright side because, yeah I get sick of questions about his songs and I’m like “ugh”. At the same time it’s really cool to hear about the love that people have for him because it’s my dad and I love my dad! I know it’s only early days in this UK tour but have you found much difference with the crowds over here compared to back in the States? I feel like a lot of American’s probably agree on this but crowds here are really pleasant. Pleasant would be the key word! They’re just gonna listen, it’s cool because everyone claps and even gives a hoot and a holler. I can feel them listening to the words and it’s really great. I’m really grateful for that. As a songwriter that must be nice to know that people want to listen to what you have to say? It’s really nice and I was really excited to bring a couple of my band mates here because I knew that they’d feel that too! It’s funny that you say that because you’re right, a lot of American artists say the same thing. It seems that the UK is becoming a second home for a lot of artists. It must be nice for you guys who are perhaps a little less mainstream to come over and have a crowd of people who actually prefer to hear what you’ve got to say? It is. It’s amazing and I couldn’t be more grateful for that. What makes it worth coming all this way? Obviously it’s not cheap and there’s risk involved? Well, first of all, all of the people you meet. I love people any way. I’ve been everywhere in the US and I’ll go again and I love the US. We don’t get to come over here all the time and chat with ‘blokes’ every day, you know what I mean? It’s exciting and it’s a different feel, a different part of the world with a different angle and it’s refreshing. Everyone is just so sweet, I mean, my experience has been very warm and cool. We just had tea! Stuff we don’t do at home, I’ve just decided that I don’t care about the money, the experience is powerful! Do you think that you’ll be making the UK a regular touring spot? Yeah! Totally! We have some plans to do another tour sooner rather than later? Finally, I know that it’s early days since the release of the album in the UK but are there plans for the follow up to Trinity Lane? Yeah. I’ve got some ideas but I’m kind of keeping them to myself! The songs usually guide the sound and they’re still being written. I’ve got some stuff coming out and it’s exciting! 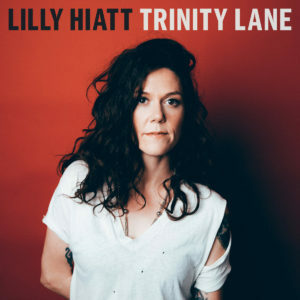 Lilly’s latest album Trinity Lane is available now. You can buy it on iTunes here. Drake White – Pieces EP Review: The Alabaman crooner returns with the soundtrack to your summer! Steve Moakler: We chat to the songwriter about being inspired on the highway, road-testing ‘Born Ready’ and much more!